Does anyone know of a speech bubble icon in any of the MapInfo Symbol Style font sets. I know there is one in Webdings (F8), but for Spectrum Spatial Analyst (SSA) I need one from a MapInfo prefixed font set. I know I can bring in custom symbols to SSA, but it's right pain. If I can pick up a MapInfo prefixed one, it'll be so much easier. I've had a browse through the Mapinfo prefixed sets and not spotted one yet. I may be missing it. I assume you were looking for one like this, right? 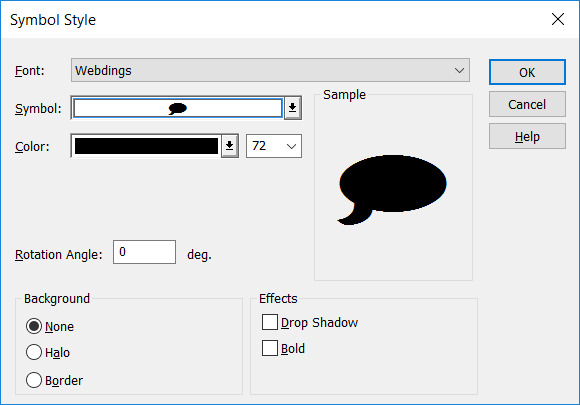 Yes, the Webdings speech bubble is the one. 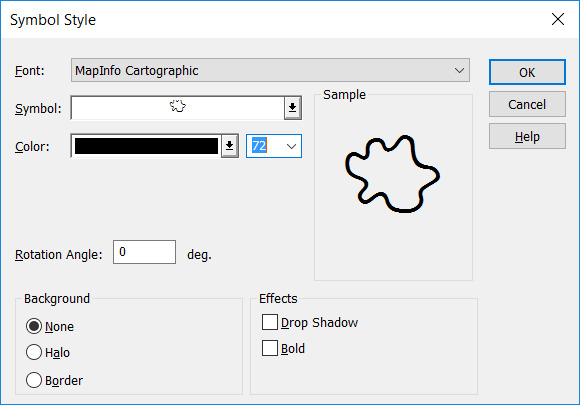 It's fine in MI Pro, but SSA will only work with Mapinfo prefixed font groups, thus the request. Thanks for the suggestion. Although it's more Mr Daydream than speech bubble!